Change the Game with BlueStacks 4: Find out what's new? Say hello to the most comprehensive Android Gaming Platform ever built: BlueStacks has been upgraded to a new version and it meets all your expectations and more. We’ve taken feedback from all our users into account and worked hard on developing a revolutionary product, that promises to take Android gaming on PC to a whole new level. 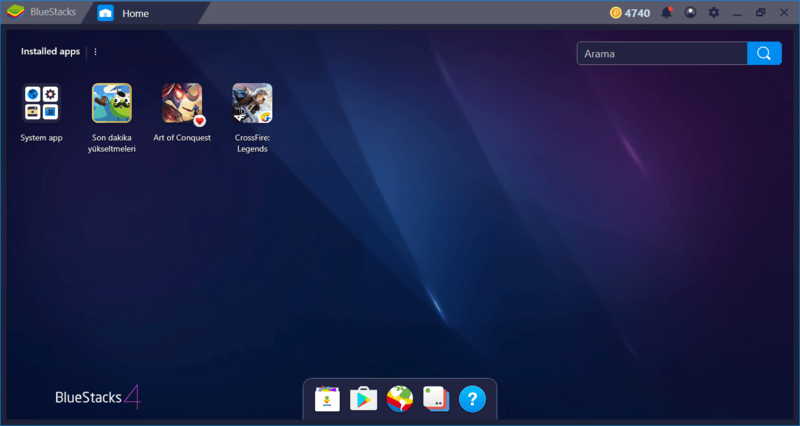 So, what exactly is new in BlueStacks 4? Let’s take a close look. The first thing that will catch your attention is the new interface. It is still as intuitive and practical as ever, but now it also looks the part. Getting used to our new interface will not take long because we have placed all your favorite buttons and links where it’s easy for you to find them, right at the bottom. On launching, the default screen is the installed applications: so, you can start playing games directly. Other important links and buttons are available at the bottom of the screen. 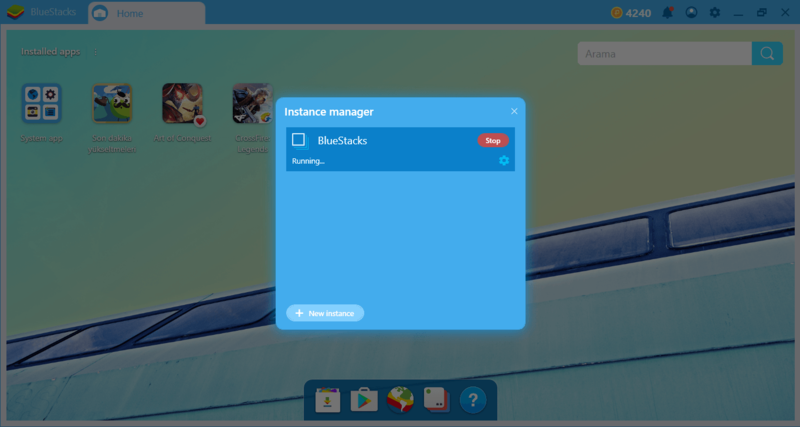 All familiar features like App Center, BlueStacks World, and Multi-Instance are still here, but they have been upgraded and now they do not cover as much of your interface. 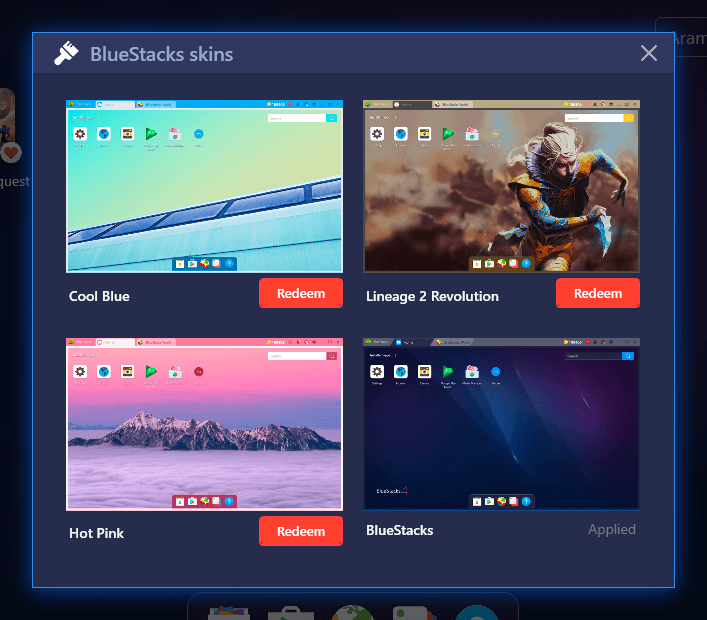 What’s more is that if you do not like the default view, you can customize it as per your liking: With skin support, make your BlueStacks 4 look the way you want it to. This skin looks better, right? The decision is yours – you can add more than one skin to your account and switch between them. In this context, let’s also say that you can change the wallpaper: Our new interface is now easily customizable. Do not worry, all the features like multi-instance that make your job easier are still here. They have just been further developed, updated, and given a new look. The multi-instance screen, for example, is now available as a quick shortcut called “Instance Manager” right at the bottom. It offers all the benefits as before but has a much easier to use interface now. The key-mapping tool that lets you play Android games with keyboard controls has a completely new interface now. However, these innovations deserve to be talked about in an article of their own: For now, let’s say personalizing the control scheme has never been this easy. The interface is not the only thing that’s new here. BlueStacks 4 is a different kind of beast under the hood too. We’ve made a lot of updates behind the scenes to give you better-than-ever game performance. 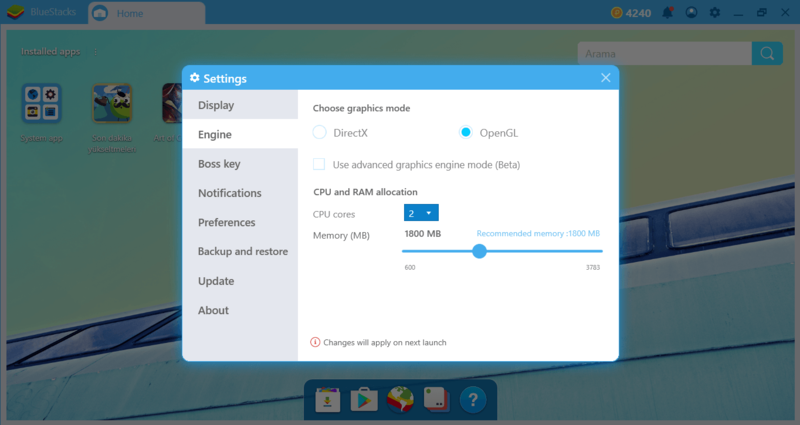 BlueStacks 4 is now able to use your computer’s resources much more efficiently, and first of all, it launches much faster. With CPU and GPU improvements, you can now get more FPS in games without sacrificing on graphics quality. In fact, BlueStacks 4 was proved to be 8x faster than the latest iPhone 10 or Samsung S9+. You will see that every game, including PUBG Mobile, runs much faster and more efficiently than before. They will also work more smoothly. We literally kill every other tablet and mobile phone in terms of performance: Not only that, we offer you the smoothest mobile gaming experience on PC along with multitasking features, which is not possible at all on mobile devices. Our new and patented on-demand architecture allows us to provide a deeper integration between Android and Windows – the kind you have never seen before. For a detailed performance metric comparison of BlueStacks 4, you may refer to this page here. If you have not already visited BlueStacks Store, you should do it now: You can buy pro-gamer products with BlueStacks Points that you earn for free during the events. These are easy and fun events to do, as always: You can win BlueStacks Points and cards by playing a new game every day. How about getting a gaming PC or a professional gamer chair with those points? Moreover, there is no specific geographical limitation: You can win these prizes from wherever you are in the world. 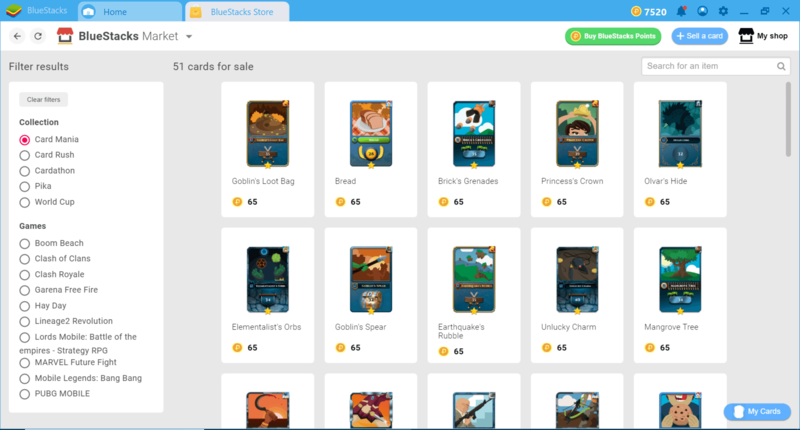 That’s not all: You can now buy much more with your BlueStacks Points. 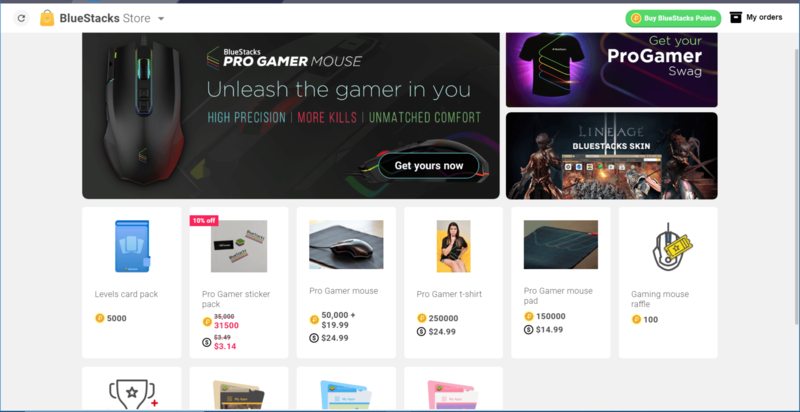 A t-shirt, a gamer mouse or a new theme: With BlueStacks Points, you can have all of them and more for free. 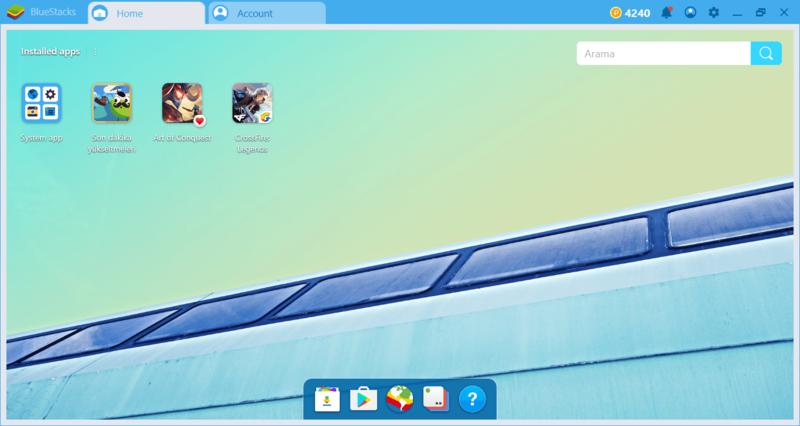 The quality of the user experience was the first priority while developing BlueStacks 4 and we are very happy with the results. We have created a series of articles to tell you more on this, and we encourage you to read them all to get to know BlueStacks 4 better. If you are an existing BlueStacks user, you must get BlueStacks 4, you’ll love it, we promise you. If you have not used BlueStacks before, give BlueStacks 4 a chance, you’d be pleasantly surprised. Do let us know what you think of BlueStacks 4 by leaving a comment here. We love to hear from you.